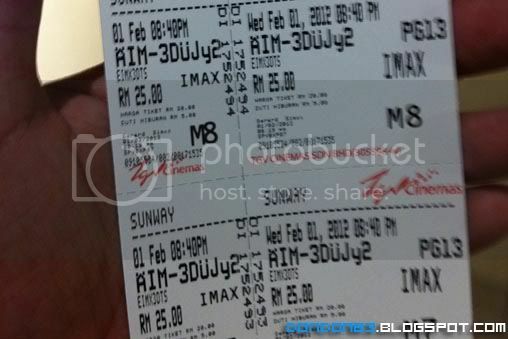 IMAX is once again landed in Malaysia. and this time.. it part of TGVcinema. 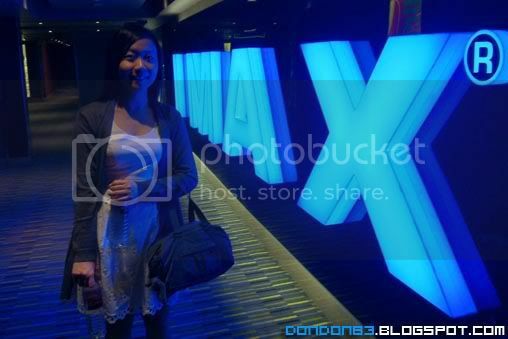 previously there is one IMAX cinema at 10th Floor Berjaya TimeSquare. 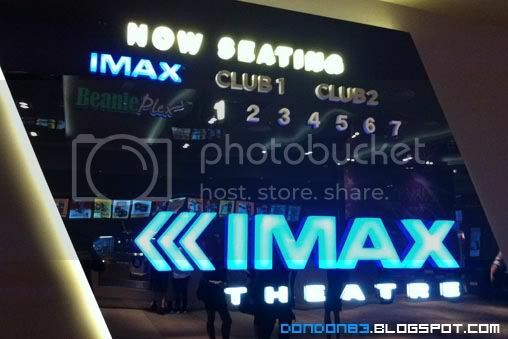 but then it no longer called as IMAX after sometime..kinda sad when heard IMAX no longer operate in Malaysia. 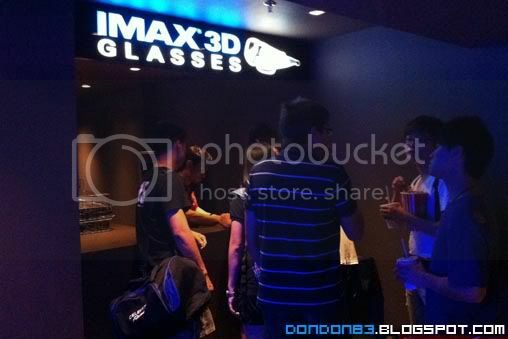 previously it take over by GSC and called it GSC MAXX.. i though IMAX is back once again with GSC..but no.. just the hall.but's it's Truly come back now. 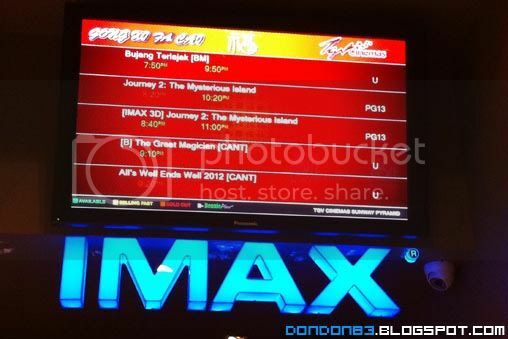 Journey2 : The Mysterious Island with IMAX3D. just outside the IMAX Hall. 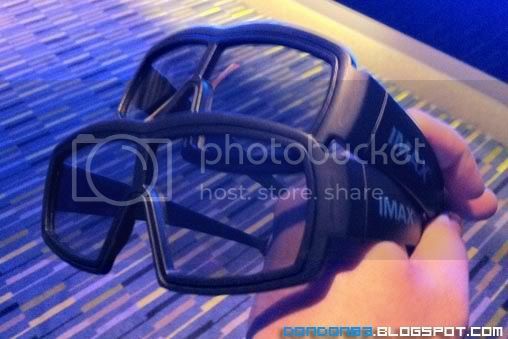 it's labeled with big blue IMAX wording. you won't miss the hall. 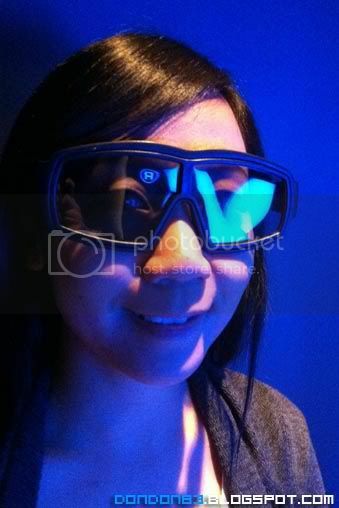 oh.. remember to collect your IMAX3D glasses..
look a but huge don't you think so?maybe it's designed to wear together with your existing glasses? Double Glasses lol.